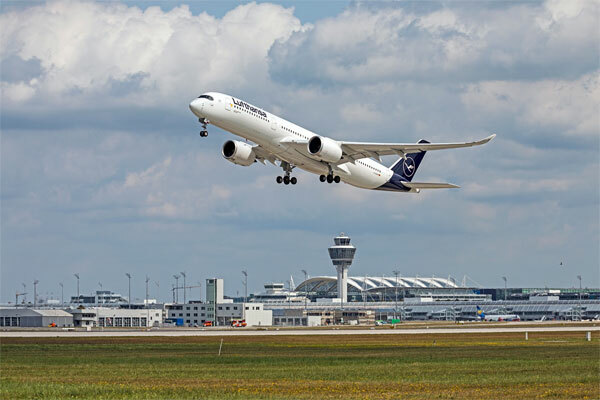 Munich Airport had yet another record-setting year in 2018 as its total passenger traffic rose by a robust 1.7 million to an all-time high of 46.3 million. That represents a year-over-year increase of around 4%. During the same period, the number of take-offs and landings increased by 2.2% to over 413,000. The airport again benefited from its attractive, worldwide route network. Passenger traffic on long-haul flights was up by an impressive 7% as compared with the previous year. European routes experienced an increase of around 5%, while the passenger total on domestic flights within Germany declined by 1%. The airport also continues to experience dynamic growth in passenger demand, posting its ninth consecutive overall increase in 2018. As a result, the total annual passenger traffic at Bavaria’s gateway to the world has more than doubled since the turn of the millennium. During that time, the number of annual takeoffs and landings has also increased by around 100,000. An indicator of the steadily growing appeal of the airport and of Munich as a destination is the further improvement in the aircraft load factor in 2018. The 77.5% average occupancy of seats on flights to and from Munich in 2018 represents a new all-time high.